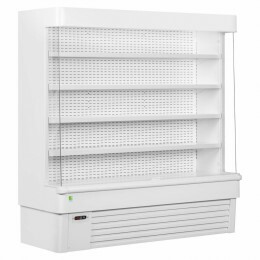 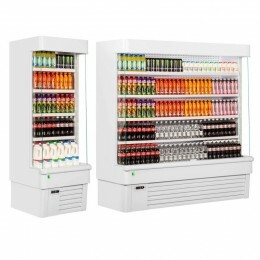 One of the best selling multideck displays from the Italian manufacturer Framec. 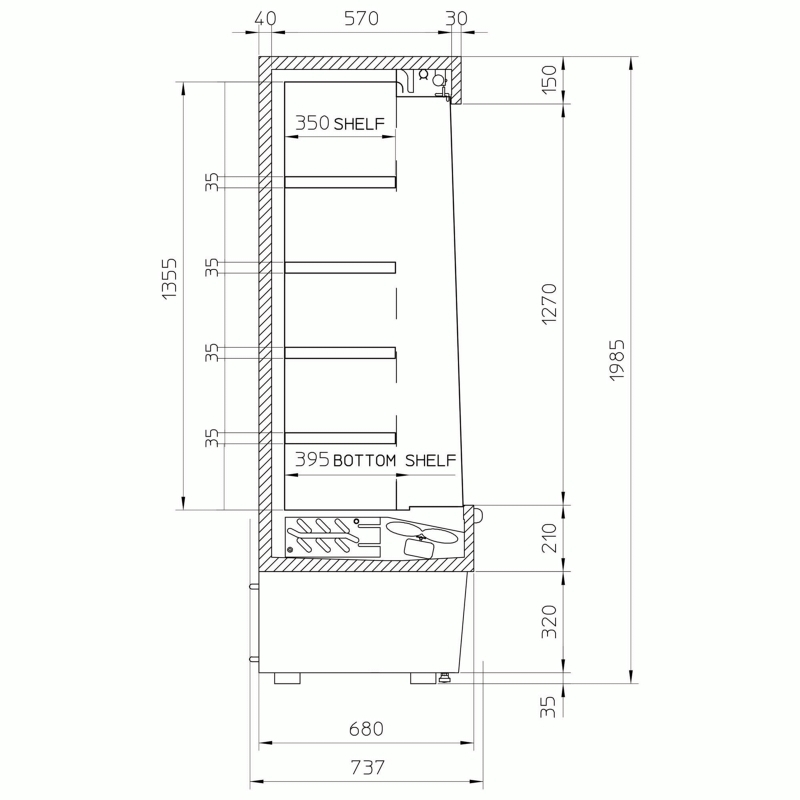 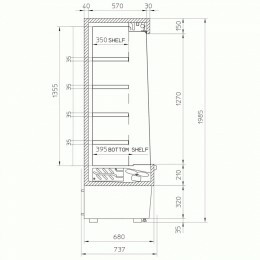 A fantastically designed cabinet with a generous 5 tier display and the low front allows plenty of height on each shelf. 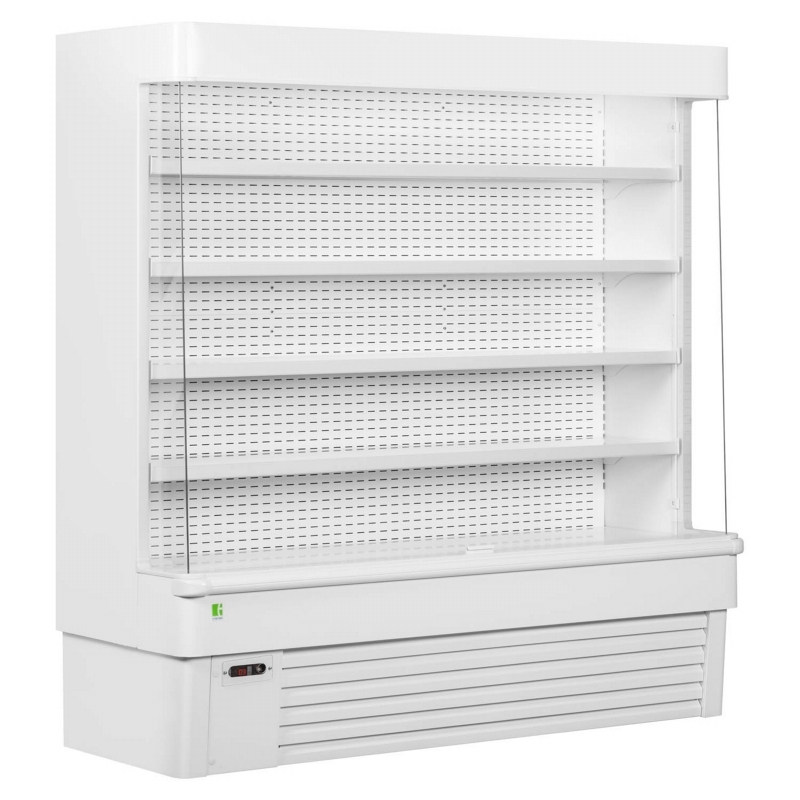 Curved corners give the unit a sleek look and soft open night blind saves energy when your shop is closed. 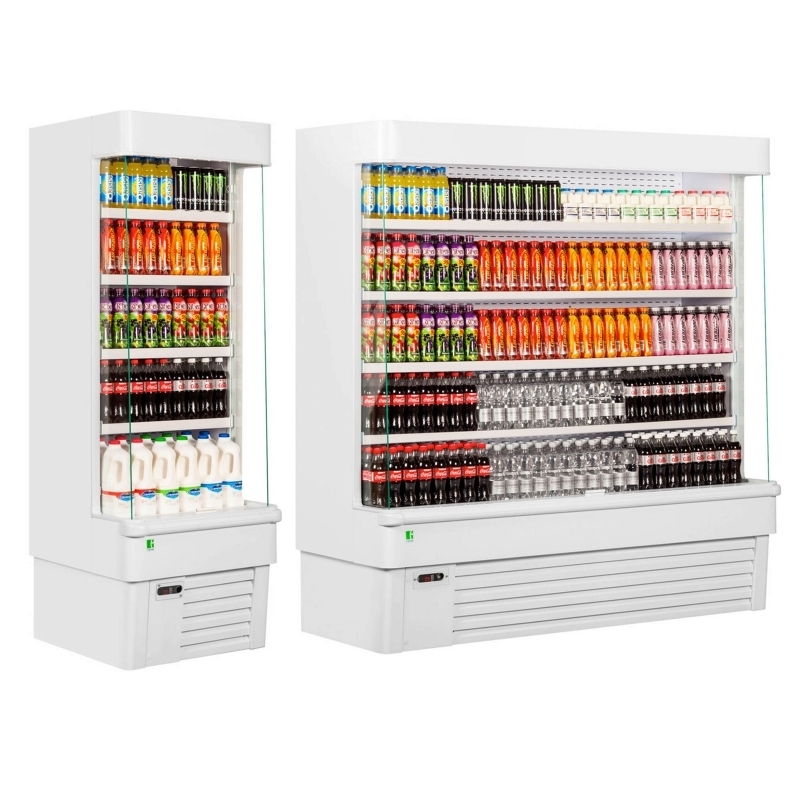 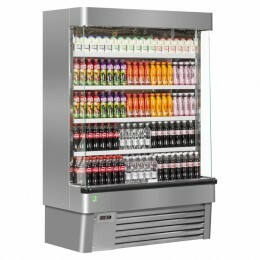 Fully automatic and fan assisted it ensures even cooling over the whole cabinet for drinks, sandwiches as well as milk and other dairy products. 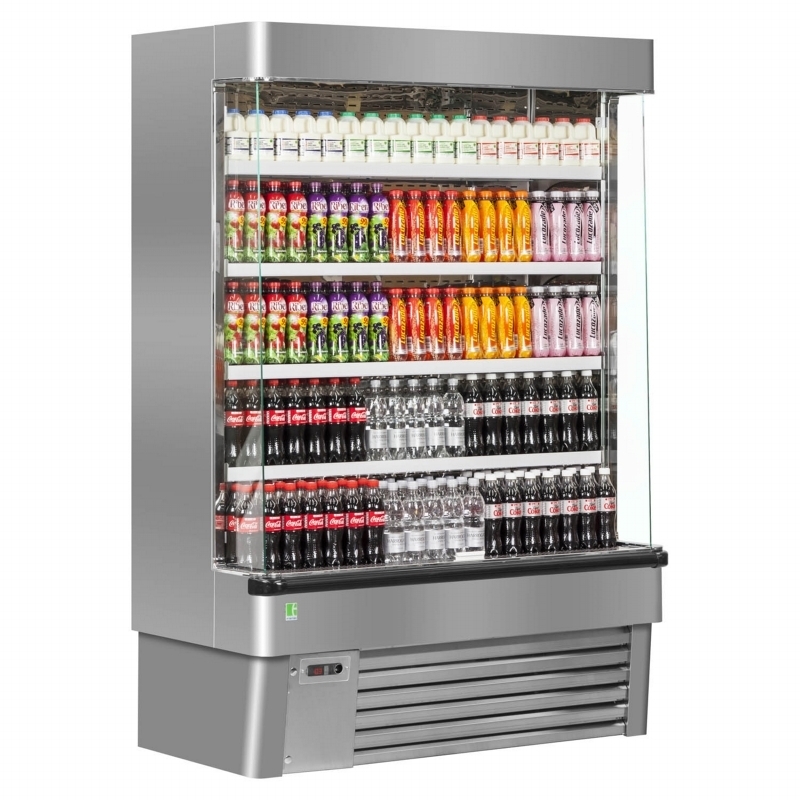 Available with glass door option and in stainless steel.